Passionate about travel. Dedicated to our clients. Cruise Specialists is led by a team of experts with decades of combined experience in agency operations, marketing and sales, along with rock-solid relationships with top executives at each and every major cruise line. Our leadership team is unwavering in their commitment to customer service and excellence in everything we do. 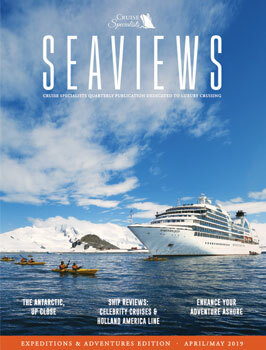 You can find information about our cruise experts in the Our Experts section. Not only does our Cruise Specialists agent listen carefully to our wants, and especially our special needs, she also anticipates…with the end results of our trips being nothing short of wonderful! Annie Scrivanich leads the Cruise Specialists team in their goal to enrich people’s lives through travel. Throughout her many years in the cruise business, Annie has built her career across virtually every aspect of the industry, all with an eye on ultimately improving the overall customer experience. Annie joined Cruise Specialists in 2013 from Cruise Advisors, Inc., a major force in the Alaska cruise market. In previous roles with Tour Alaska, Inc., she was integral in pioneering the “Route of the Glaciers” cruise itinerary and developing the highly-popular concept of private dome railcar travel through Alaska. Under Annie’s leadership, Cruise Specialists guests enjoy an effortless and accurate planning process and the assurance that they will have a rewarding travel experience from start to finish – with our knowledgeable cruise consultants available to answer any questions before, during or after their trip. Annie Scrivanich leads the Cruise Specialists team in their goal to enrich people’s lives through travel. Throughout her many years in the cruise business, Annie ...Read more has built her career across virtually every aspect of the industry, all with an eye on ultimately improving the overall customer experience. Annie joined Cruise Specialists in 2013 from Cruise Advisors, Inc., a major force in the Alaska cruise market. In previous roles with Tour Alaska, Inc., she was integral in pioneering the “Route of the Glaciers” cruise itinerary and developing the highly-popular concept of private dome railcar travel through Alaska. Susan’s passion for the cruise industry began when she spent a few years working in the gift shops aboard various ships. After a time she left life at sea, but not the cruise industry continuing to work as a Cruise Consultant and Director of Reservations for a large cruise company. Susan finds the experience of having worked both onboard ships as well as in the head office of a cruise line is invaluable in knowing how to accomplish what a client needs. She considers herself fortunate to have cruised extensively with her husband and two children to Europe, China, the South Pacific, Alaska, the Caribbean, and Mexico and anticipates many more cruise vacations. Susan is delighted to bring all of her experiences together at Cruise Specialists. John Bell leads the Marketing team for Cruise Specialists, ensuring that our clients receive the most relevant and valuable offers from the cruise lines they are most interested in. John’s travel industry career began 25 years ago at Golden Bear/American Express, and he has held a variety of roles in IT and Marketing. John leads a team of dedicated professionals who create Cruise Specialists’ print brochures, newsletters, emails, blog posts and social media content that stirs interest from potential and current clients. John has led efforts to help Cruise Specialists become a more data-driven business, ensuring travelers receive offers that will appeal to them. He also works with our cruise consultants and sales team to watch for the latest trends in what is popular with our guests. John believes that travel creates some of the most significant memories of people’s lives and this fuels his passion and guides his work each day. John Bell leads the Marketing team for Cruise Specialists, ensuring that our clients receive the most relevant and valuable offers from the cruise lines they ...Read more are most interested in. John’s travel industry career began 25 years ago at Golden Bear/American Express, and he has held a variety of roles in IT and Marketing. John leads a team of dedicated professionals who create Cruise Specialists’ print brochures, newsletters, emails, blog posts and social media content that stirs interest from potential and current clients. John has led efforts to help Cruise Specialists become a more data-driven business, ensuring travelers receive offers that will appeal to them. He also works with our cruise consultants and sales team to watch for the latest trends in what is popular with our guests. As Director of Operations, Teresa oversees the group, shore excursion and administrative teams. 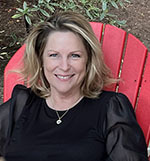 Prior to Cruise Specialists, Teresa worked shore side and on board ships for a premium cruise line in various roles including human resources, shore excursions and marine hotel operations, and also took time to complete her MBA in International Business at Thunderbird School of Global Management. Teresa’s mostly behind-the-scenes group of talented individuals is dedicated to providing the best customer service possible for our clients before, during and after their cruises. Teresa is happy to share knowledge of her experience sailing on Windstar, Viking Ocean, Azamara, Crystal, Regent Seven Seas, Silversea, Holland America Line, Seabourn, Celebrity, Royal Caribbean, Oceania, Norwegian, Viking River, AmaWaterways and Avalon. As Director of Operations, Teresa oversees the group, shore excursion and administrative teams. Prior to Cruise Specialists, Teresa worked shore side and on board ships ...Read more for a premium cruise line in various roles including human resources, shore excursions and marine hotel operations, and also took time to complete her MBA in International Business at Thunderbird School of Global Management. Janet Olczak-Lanterman founded Cruise Specialists in 1987 after sailing for many years as a registered nurse for major cruise lines. The company has grown from a one-person operation to an office of over forty dedicated professionals. Janet has been quoted as an expert in the cruise industry in many national publications such as Condé Nast Traveler, Travel Agent Magazine, National Geographic Traveler and Voyage magazine. Janet also remains an active leader in the on-going life of the company and the cruise industry.